Our certified teams are ready to provide you with an attentive service on your preliminary technical consultation and professional final-period design so as to meet the demand of the clients. 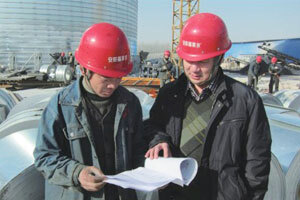 What service can Flyer steel silo provide? 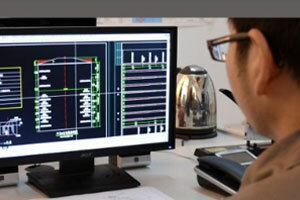 We provide attentive service on your preliminary technical consultation and professional final-period design so as to meet the demand of the clients. 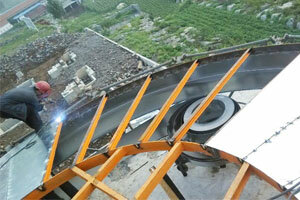 Engineering and construction plans freely based on your special requirement. We provide professional construction team composed of professional engineers and technical elites with systematic training and experience to ensure high standards of construction quality. We provide a detailed construction schedule timely for you, so that you would manage the project progress comprehensively and carry out coordination according to the plan. We adhere to provide personalized service on the quality-oriented principal. 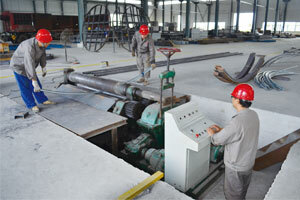 Every link of the project is under strict quality supervision based on the company and national standards. Strictly following all standards, we guarantee the quality of the project from design, preparation, prefabrication to on-site installation. 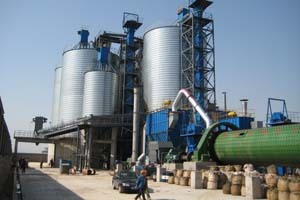 Before the silos are used, we provide free training to show you professional way on operation and maintenance. We provide a 1-year free maintenance after the project is delivered and for over one-year maintenance period, we provide thoughtful service as usual and collect only the corresponding cost of materials. We provide phone service every three months to remind our customers of possible problems in the course of using steel sheet and collect advice or suggestions in product quality and the related services. 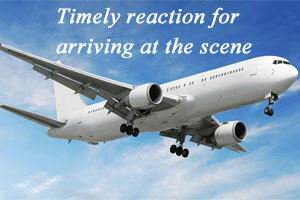 We guarantee a timely reaction for arriving at the scene after receiving feedback.